Becoming a parent will be rewarding, fulfilling and fun but sometimes tiring and demanding. Sometimes adopted children have additional needs and many adoptive families benefit from some help and advice at different stages in their family life. Difficulties can arise from early experiences which influence your child’s behaviour at home or at school and you might want some advice or support to manage this. Or maybe there are some aspects of being an adoptive family which other families don’t experience. For example adopted children often need help to understand their past, or may want to find out more about their birth family or contact arrangements. Getting the adoption support you need for you and your family can be anything from joining a local adoption support group to having a social worker support you for a period of time or getting specialist therapeutic support for your child. Some services may be provided without an assessment having to take place, for example, support groups or advice and information. Read on in the sections about: Advice on Available Support, For Adopted Children, For Adoptive Parents. Other services may be provided following an assessment of need. During an assessment of your adoption support needs a social worker may make contact with other services that may be able to help such as health, Child and Adolescent mental Health Services and education. Help where an adoption breaks down or is at risk of breaking down. We know that getting the right support when you need it can make a big difference to a family struggling with adoption related issues. This website tells you about the support that you can expect to get in Wales after the adoption order is granted. You have some choices about where to go for support. In Wales the local authority Adoption Services work together in regional collaboratives. Some regional adoption collaboratives will be your first point of contact for adoption support and they will undertake an assessment of your adoption support needs. In other regions it will be local authority ‘intake and assessment’ teams who will undertake this assessment. If you adopted through a Voluntary Adoption Agency such as St David’s or Barnardo’s you could also approach that agency to discuss the post adoption support services they may be able to offer. Or, you may want to talk through your issues via the Adoption UK, Wales helpline . You are welcome to call to have an informal chat or to ask for information and advice. The Adoption UK help line focuses on the needs of adoptive families and the phone is usually answered by a trained adoptive parent. Please call 029 2023 0319 Monday to Friday 10am till 2.30pm. All new adopters in Wales are offered a year's membership of Adoption UK for free so if this applies to you and you haven't been offered this, please speak to Adoption UK or your agency. Who should I ask for support? If you feel your child needs extra support as a result of their adoption, you have the right to have an assessment of adoption support needs. If you think your child might have special educational needs you can ask your local authority to assess these needs too. There are support groups for children and young people run by After Adoption and called 'TalkAdoption'. They provide opportunities to meet with other adopted children, have fun activities as well as talk about common experiences. Contact After Adoption for groups in your area. Alternatively you may contact your regional adoption service where you live. Many adopters are entitled to adoption leave and pay when their child is placed with them www.gov.uk/adoption-pay-leave. The law is changing to make this entitlement more similar to maternity and paternity leave pay, and it will include the right to take time off when you are meeting your child, before they move in with you. Adopters may have priority for council housing www.gov.uk/council-housing. If you are living in council housing and claiming Housing Benefit or Universal Credit while waiting for a child to move in you can also apply for funding (Discretionary Housing Payments) so that you are not penalized financially while you have an empty spare room. You are also entitled to a summary of your child’s health from his or her local authority medical advisor before he or she is placed with you, and to a life-story book to help your child understand his or her early life. There are a number of parenting skills courses that enable adoptive parents to learn new strategies for helping children who are finding it difficult to manage family life. The aim of such courses is to provide strategies to improve the relationship between parent and child and make the child more co-operative with the parents. Although some of the strategies may sound familiar, when you can discuss ideas in the group and benefit from the videos and other materials, parents often find a new and helpful perspective. Adopters also have really appreciated the opportunity to work alongside other adopters who understand each other’s situation and can be very supportive. Some courses run weekly for some weeks and some are over several days. Parenting our Children is Adoption UK’s a new parenting programme that replaces ‘It’s a Piece of Cake’. It has been developed by Adoption UK and Family Futures and is delivered nationwide. SafeBase is a therapeutic parenting programme run by After Adoption. 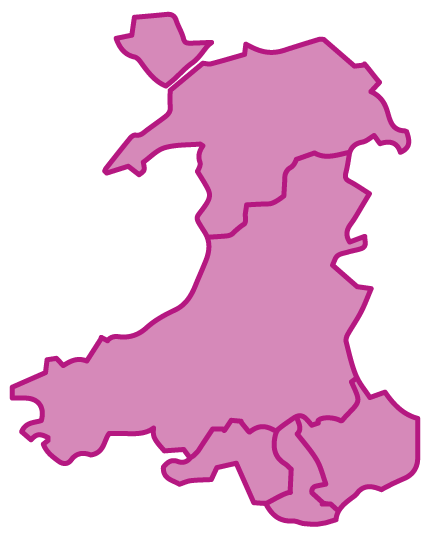 It is Provided to adopters in the North Wales Adoption Service. There may be other parenting courses available that your regional adoption collaborative can advise you about. Contact your regional adoption service for advice and information.